Of all the tools developed and taught by master & founder of pranic healing Choa Kok Sui, meditation on twin hearts goes to the top of the list, many of those who practiced the meditation experienced instant healing, out of body trips, and massive chakra upgrades. Personally, when i practice the twin hearts meditation i feel super charged in a way beyond my explanation. The things that manifest in my life as i use this tool are just amazing. Enemies turn into friends, pain turns into peace, i just experience the true connection between myself and the all there is..
What Are The Twin Hearts? 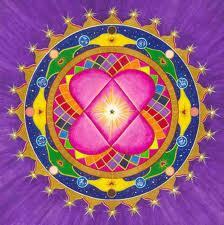 The twin hearts are the Crown chakra, and the Heart chakra. It is believed that the heart chakra is the center of the energy body, while the Crown is the heart of your higher self, your connection to source. To practice the twin hearts meditation, please follow the steps below, and adjust them to fit your own unique needs. Step 1: Ground yourself. Take a shower, eat, or practice a 10 minutes physical exercise. Step 2: Relax. Sit in a chair, in a position that makes you feel completely comfortable, close your eyes, start breathing deeply through your stomach as you concentrate on every piece of your body ordering it to relax. Your toes, your feet, your ankles, lower legs, upper legs, hips, belly, stomach, lower back, chest, upper back, shoulders, neck, face, eyes, jaws, forehead, ears. Once completely relaxed, breath deeply for a minute and enjoy this state of complete relaxation. Step 3: Activate the heart chakra. Imagine planet earth right in-front of your chest, and extend your arms as if you are holding the planet. Keep your hands relaxed, then start imagining and feeling the energy flowing from your heart center, through your arms, and out through your palms to the planet. Feel this energy of love flowing through you. Stay there for a minute or two. Enjoy this state. Step 4: Activate the crown chakra. As love energy is flowing steadily through your heart center, imagine a ball of pure white light few inches above your head. Feel this ball expand, sending rays of pure white light through your crown chakra, the light moves downwards to your third eye chakra, then to your throat chakra, and down to your heart chakra. As it reaches your heart center, it blends with the energy flowing from there, and it moves with this energy through your arms, and out to the planet. At this step, feel the energy flowing from both centers,out through your hands to planet earth. Feel your strong connection to the planet. Step 5: Send Your Love. As you project this pure energy of love to the planet, imagine it going to your every being, to your enemies, to your friends, to the trees, the mountains, the birds, each and every animal. Be unconditional while sending this love, do not exclude anyone or anything. Continue to send this love as much as you need (minimum 20 minutes). Note: You can also write a prayer, and say it as you practice this meditation. Step 6: End your practice. Thank God, Source, The universe, The angels, for the light that was channeled through you. Say your favorite prayer or affirmation. Let your hands move down slowly to rest on your labs, open your eyes, take a deep breath. Step 7: Ground yourself again as mentioned in step 1.